We saw a whole lot of IDGAF hair during New York Fashion Week. I'm a fan of deliberately disheveled beauty in theory. But in practice, no matter how many expert hairstylists I interview, I look undeliberately disheveled. 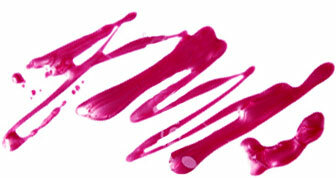 This season, mussed-up beauty has been paired with polish. Impeccable lip liner. Fastidious mascara. Hyper-groomed brows. Tinsel-lined eyes. Check out the clever techniques and crafty materials you'll need to make your eyes sparkle. 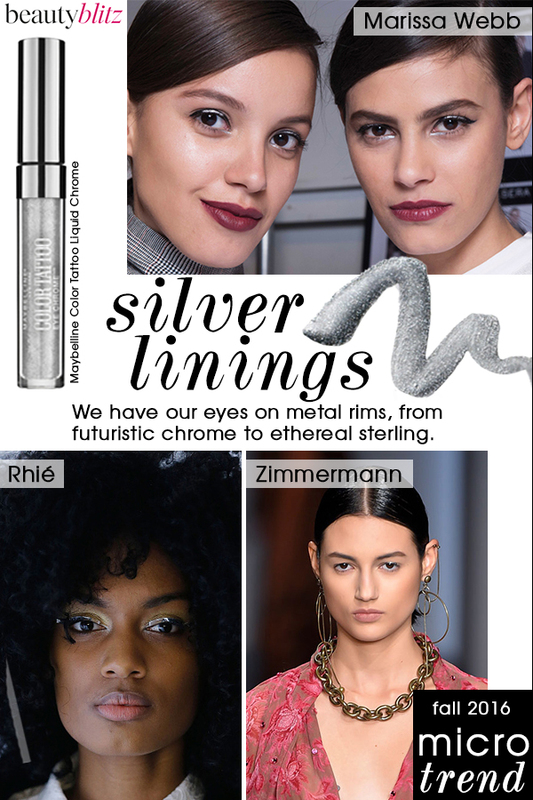 The Look A stroke of silver metallic liner, echoing the "Winter Woman" theme of designer Marissa Webb's collection. The Technique Gato started with a thick, dramatic line of Maybelline Eye Studio Lasting Drama Gel Liner in Blackest Black on the upper lids, topped by a partial silver line (using Maybelline Color Tattoo Liquid Chrome in Silver Spark) drawn only in the center of the upper and lower lashlines. The Look Designer Rie Yamagata focused her collection on metallic fabrics and tailoring that had an intergalactic vibe. The Technique Simone glued strips of silver foil over golden shadow. The Look A space-age foil liner inspired by light reflections and the show's "Mirror Mirror" theme. The Technique Jodie applied Sephora Collectom Colorful Shadow & Liner in 33 Secret Boudoir, along with Kat Von D Shade + Light Contour Palette on the lids. Then she glued tiny, hand-cut strips of silver foil to the lashline using DUO Eyelash Adhesive. To finish the look, Jodie used pointy Q-Tip Precision Tips to clean excess product around the tear duct and lashline.